Halford is a heavy metal band formed in 1999 by Rob Halford, the lead vocalist for Judas Priest. Halford formed the band to return to his heavy metal roots. His two previous projects were a "street metal"-style band called Fight and the industrial metal band 2wo. Halford's first album "Resurrection" was included in Martin Popoff's "The Top 500 Heavy Metal Albums of All Time". As well, the songs "Silent Screams" and the title-track "Resurrection" were included in Popoff's list. The track "The One You Love to Hate" included guest vocalist Bruce Dickinson, from Iron Maiden. Halford's first album "Resurrection" was included in Martin Popoff's "The Top 500 Heavy Metal Albums of All Time". As well, the songs "Silent Screams" and the title-track "Resurrection" were included in Popoff's list. The track "The One You Love to Hate" included guest vocalist Bruce Dickinson, from Iron Maiden. In 2002, Halford released the second studio album "Crucible", although no live recordings have been officially released to promote this album. A high-quality soundboard bootleg titled "Live - From the Disney House of Blues" was made available for download along with a special DEP at Robhalford.com in 2004. Halford released bonus tracks in Japan, such as "She", "Fugitive", "Rock the World Forever" and "In the Morning". 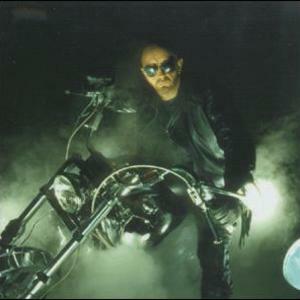 On November, 2006, Halford released a single set from the Halford IV album, titled "Forgotten Generation." The first wave of Halford releases included remastered editions of his solo band's back catalogue and initially releasing them through Apple's online iTunes Store. Fight also celebrated a release, an early recording entitled "K5- War of Words Demos," which were the demos that Rob Halford had recorded back when Fight had first formed. Lastly, a compilation was included, called "Metal God Essentials, Vol. 1," which not only had the fans' favorite Halford tunes, but also had new songs called "Forgotten Generation" and "Drop Out." Rob Halford's third solo record, entitled "Halford III - Winter Songs", was released worldwide through all retailers on November 3, 2009. The record features new tracks recorded by his solo band between 2008?2009, as well as traditional Christmas songs re-arranged to heavy metal renditions by Halford himself. The first single, "Get Into the Spirit" was released to radios on September 29, 2009. On June 25, 2010, Halford released the first single, "The Mower", from his fourth solo studio album, "Halford IV - Made Of Metal", which was released in October 2010.